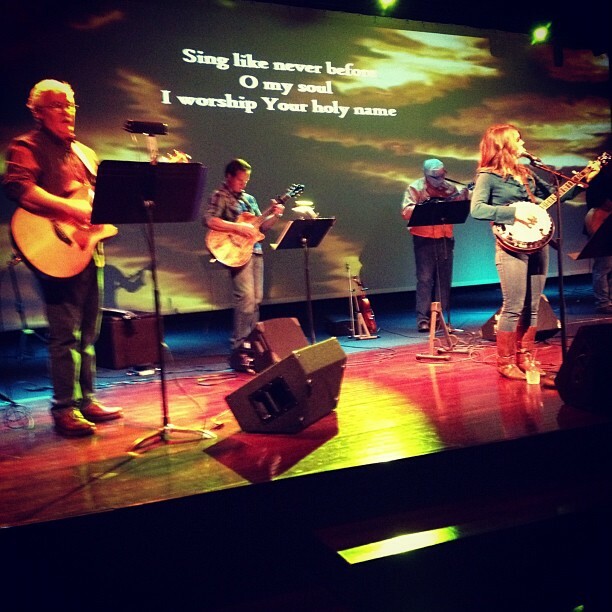 It was such a great weekend of worship and teaching and fellowship! Again - I feel extremely blessed to be part of this ministry! There were people there that came this weekend as a result of getting coffee during the week at the Coffee House! I talked to one gentleman that works for Word of Life and travels all over the world and said they were there because of the amazing teaching! They had originally come to check out the church their youth group aged boys were attending - they never left! I'm sure there are many more stories about what brought people to Crossroads this weekend, the one thing I know is God allowed all our paths to bring us there and received our worship and opened our hearts to learn more about Him. And it was good!